Yay, it’s my first review! The lovely ladies at Cake Decorating Store let me pick anything I wanted. It could have been a financial disaster for them but I held back, and chose only this Wilton Baroque Mould. In case you didn’t know, Wilton are like the masters of cake in the US, sort of like Squires Kitchen over here. This particular mould is a lot different to the silicon lace ones I already have, the main difference being that it’s a lot harder then the flippy floppy ones I currently use, which is a big positive. It’s flexible enough for you to get the shapes out, but firm enough so you can lift it without the mould folding in half and ruining your shapes. 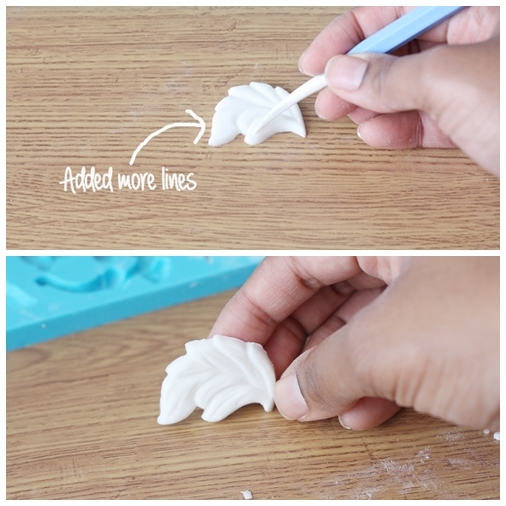 It also means you can pop the mould in the freezer easily to set your shapes quickly. 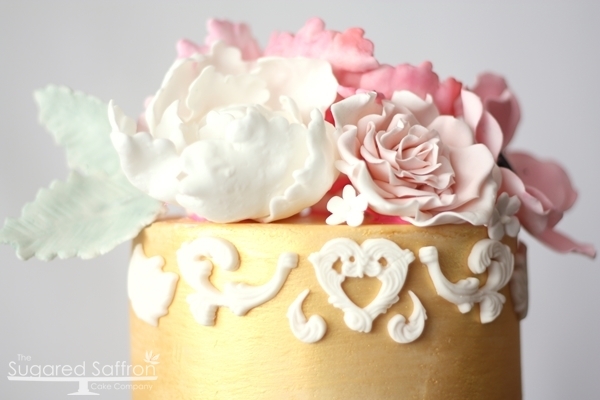 I used a 50-50 flowerpaste to sugarpaste mix as I always use for any type of modelling. I also don’t bother with a rolling pin when using a mould as you can see above. I just take a small pinch from a ball of paste and push it into the shape, with pressure you can remove the edges and clean it up by pushing the paste inwards. It’s much faster and effective then taking out a piece and cutting off the edges. You also don’t need to put it in the freezer, just give it a couple of minutes on the counter and your paste will have firmed up enough to be removed from the mould. The hearts and scrolls are perfect, the leaves to me need more definition so I added some lines with a tool after removing them from the mould. The tiny little scrolls can be tricky to remove so work slowly with them and make sure they’re dusted so that your paste won’t stick. Also I didn’t use the pearls of the rose. I’m not keen on the rose, it’s too large and flat for me and the pearls are also pretty large. In my opinion way to large for a border so I piped mine on with royal icing like I do with every cake. Would I recommend, and would I use it again. Double yes! You can purchase this mould, currently £11.99 at Cake Decorating Store online. If you do have a try with it let me know what you think in the comments and feel free to post/link to your own pics! The more pictures of the final design with the Wilton Baroque Mould stay tuned!